While it is great to plan ahead and service your vehicle before anything goes wrong, we realize that isn't always the case, which is why we we have a fully loaded mobile repair service truck for all your mobile needs. If you are broke down at the scales, roadside, or even at your own facility but need a repair prior to leaving don't hesitate to give us a call. We provide mobile service for any truck breakdown or trailer repair. Our skilled and committed team of mechanics will be there for you in your time of need. 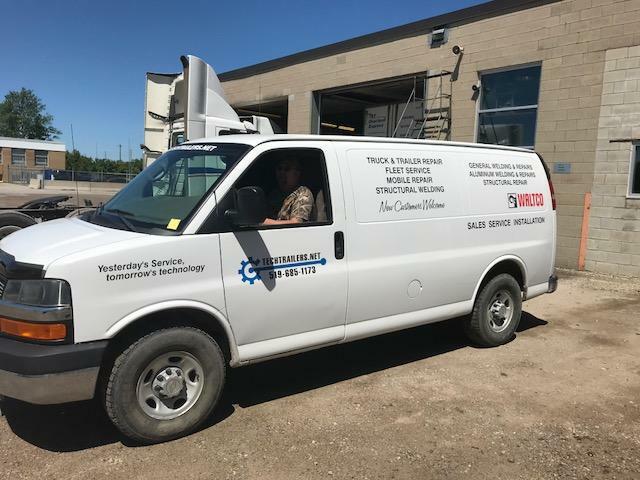 Tech Trailers provides mobile truck and trailer repair to London Ontario and the surrounding area. We also do mobile welding. Contact us for a complete price list or all other inquiries. Call 519-685-1173 for emergency breakdown service or to schedule mobile repairs.